Great Canadian Bucket List – PLUS an awesome giveaway for you! Great Canadian Bucket List – PLUS we’ve got an awesome giveaway for you! Do you have a bucket list? If you’re like 59% of Canadians, you either have one or plan to make one, according to a recent survey conducted by IHG. Our personal bucket list seems to always be in motion. When we complete a goal, we end up adding a few more. It never gets smaller. In fact, it seems to keep getting bigger and bigger. We’ve teamed up with IHG to offer you the chance to cross off an item on your Canadian bucket list. One lucky participant will receive 60,000 IHG Rewards Club Points, which is equivalent to two nights stay, depending on location and availability. See details about the giveaway below. If you don’t have a bucket list, we challenge you to start building one today! Start with 5-10 adventures or experiences that you’ve always talked about doing. Write these adventures and experiences on a piece of paper. Put them in an email and send it to yourself. You are way more likely to achieve your goals if you write them down and talk about them. It works for us. Here’s an example we did last year. Of those surveyed who have a bucket list, or plan to make one, 78% are interested in Canadian bucket list experiences. We love that! We want more people to explore our big, beautiful country. If you need some inspiration, check out these 25 experiences on IHG’s Great Canadian Bucket List here curated with the help of bucket list expert, Robin Esrock. Have you completed any of these Canadian experiences? There are many benefits to having a bucket list. Canadians who either have or plan to make one say it gives them something to look forward to (61%), an aspirational goal to achieve (52%) and an opportunity to try something new (44%). The survey also revealed the top two reasons preventing Canadians from making their bucket list dreams a reality – cost (68%) and work responsibilities (37%). That’s not surprising. 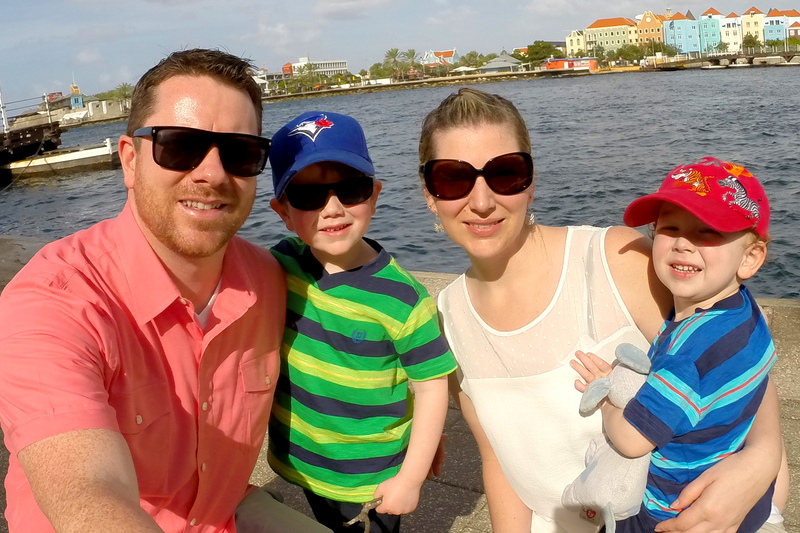 We’ve written about this before (read – How we balance work, family and travel). One of the ways we are able to travel more often is by taking advantage of loyalty programs, like IHG Rewards Club. Every purchase we make, whether it’s groceries, hotel stays, car rentals or flights, we use a loyalty program. It’s a no-brainer. Why wouldn’t you want to be rewarded for your loyalty? With hotels from coast-to-coast – ranging from budget-friendly, family-approved or luxury – IHG wants travel to be fulfilling for every Canadian. Visit IHG.com to plan your experience and book your hotel. How do YOU win 60,000 IHG Rewards Club Points? This giveaway is super easy to enter. All you have to do is leave us a comment below and tell us what experience on this list you would like to do this year. That’s it! BONUS! You get an additional entry if you visit our Facebook page and tag a friend you’d like to do the experience with on this post. Sign up for a free IHG Rewards Club account here. Leave a comment below and you are entered to win! The polar bear conservation park looks neat – I’ve never heard of it before! Would love to check out Montreal and try a smoked meat sandwich! I would go with Scale the Via Ferrata du Diable, looks exciting! The Montreal smoked meat sandwich for sure! I would love to take my daughter and husband to “feel the mist” at Horseshoe Falls in Niagara! Truly one of the most beautiful places in Canada! Definitely the hornblower cruise at Horseshoe Falls in Niagara. We actually live fairly close by but have never done it! I would absolutely love to Feel the mist at Horseshoe Falls!!! I would just LOVE to experience the Devour a smoked meat sandwich in Montreal #15. I am ALL about tasting new foods and exploring new cultures. Thanks! So many awesome places in Canada – WOW ! I would love to Stand beneath a polar bear ! I would love to experience the Shakespeare festival in Stratford. I want to visit the Polar Bear Conservation Centre. That tunnel sounds amazing! The Calgary Stampede would be a blast for sure! Thanks for letting us know. I don’t know what happened to it?! I will post again on our FB page – it requires IHG to approve first, so it may take a day. Check back tomorrow and hopefully it will be live again. Cross the Capilano Suspension Bridge! Looks exciting and scary! I would definitely want to feel the mist at Horseshoe Falls! HOLY DINAH! LOOK AT HOW MANY COOL THINGS THERE ARE TO DO! …. lots and lots are local to my province! ,,, ill have to check some of those out! if I won, I would totally go to niagara! havent been for over 20 years! I really want to see Niagara Falls. Number 17. Scale the Via Ferrata du Diable seems bucket list worthy and I’d love to do this year. I loved reading about your travel experiences in the blog post and I must say they are very interesting. Travel is something everyone should go for.